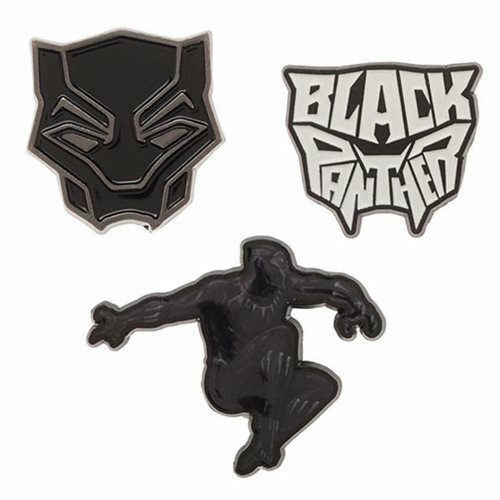 Show off some Wakanada style with this Black Panther Collectible Lapel Pin 3-Pack. Made of zinc alloy, the pins come packaged on a hang card. Includes a crouching Black Panther, the panther face, and the Black Panther logo.